WILMINGTON — Quaker pastor and author Philip Gulley will speak about his personal journey of faith as chronicled in his latest book, “Unlearning God: How Unbelieving Helped Me Believe”, at Wilmington College Wednesday, April 17 at 7 p.m. in the McCoy Room of Kelly Center. In “Unlearning God”, the latest of his 22 books, Gulley explores the process of spiritual growth, especially the re-interpretation of the earliest principles we learned about God. He is known for his “down-home style of delivery” that has his audiences laughing and feeling good one moment and then, in the next breath, he takes them to a place of deep consternation regarding the horrible ways persons have been treated in the name of God. He has sustained the wrath of many for his stance on what God’s love looks like to him, as revealed in his previous books co-authored with James Mulholland, “If Grace Is True” and “If God Is Love.” In his critically acclaimed book, “If the Church Were Christian”, he envisions a Christianity consistent with the teachings of Jesus. Gulley studied theology and sociology at Marian University and received his Master of Divinity degree from Christian Theological Seminary. 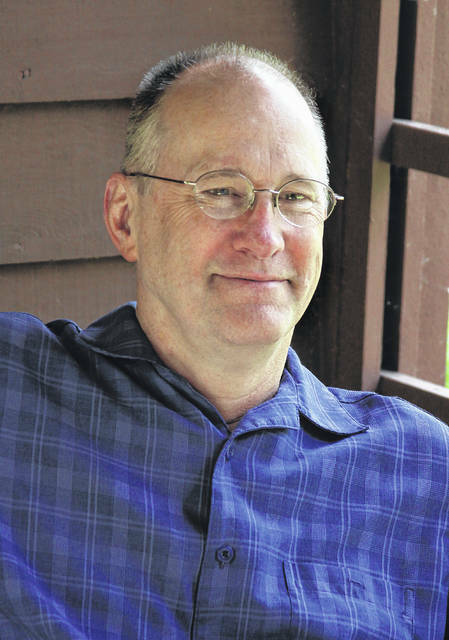 While a pastor at Irvington Friends Meeting in Indianapolis, he began writing humorous and inspirational essays, which resulted in his first book, Front Porch Tales. In “Unlearning God”, he invites readers into his own sometimes irreverent, sometimes daunting, but always refreshing journey of soul-deep reconstruction. In addition to lovers of Gulley’s works, this has been described as a book for readers whose faith has been challenged by the world around them. Gulley teaches the reader to let go, or “unlearn these burdensome obstacles” in their faith so that they can forge a more authentic relationship with God. Raised in small-town Indiana by a Catholic mother and a Baptist father, and proselytized by Jehovah’s Witness neighbors, young Gulley struggled with the absurdity of all three camps being utterly convinced the other two are doomed. To nearly everyone’s consternation, he grew up to become a Quaker pastor. “Someone else’s faith,” he writes, “is a poor substitute for having our own.” Yet even his own tradition, he discovers, serves best as a way point in the serious, lifelong process of letting go of inherited certainties in order to flourish. Driven by Gulley’s trademark storytelling and chapters bookmarked by small sections titled “Why this Matters,” he identifies a number of tenants, dogma and conventions in his religious journey that he has chosen to “unlearn” on his quest for an all-encompassing faith. One of those is the popular notion that “God is everywhere, but mostly in America.” which he describes as “the unhealthy marriage” of faith and nationalism in America and on the global stage.